Many people call her, with affection, the ‘strange’ American woman as she sold her house in the US to move to Việt Nam 10 years ago to help ill Vietnamese people. 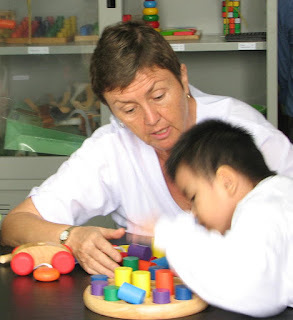 Virginia Lockett has worked as a volunteer at Đà Nẵng Traditional Medicine Hospital for seven years. 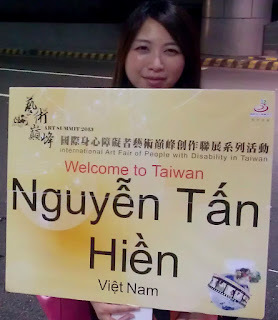 On the Steady Footsteps website (http://www.steadyfootsteps.org) , a non-profit organisation that she founded with her husband to help Vietnamese handicapped people, she shared her desire to change physiotherapy in Viet Nam to better treat stroke patients. At 64 years old, she is an American physical therapist with 40 years of experience. She and her husband David, who is an artist, first came to Việt Nam in 1995 to adopt two children. They were saddened by the seemingly hopeless situation of disabled people in the country. The Locketts returned to Việt Nam in 2005 for a short-term volunteer project. 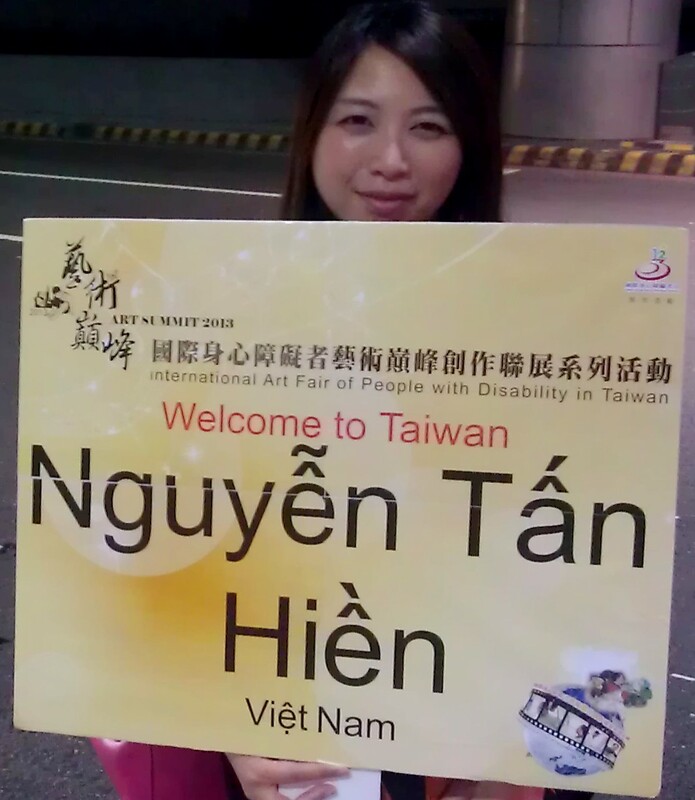 She saw the improvements in Vietnamese medical care and economy had made helping the disabled more feasible. And yet many foreign-run assistance projects seemed to be ineffective, due, in large measure, to minimal oversight by absentee programme directors. 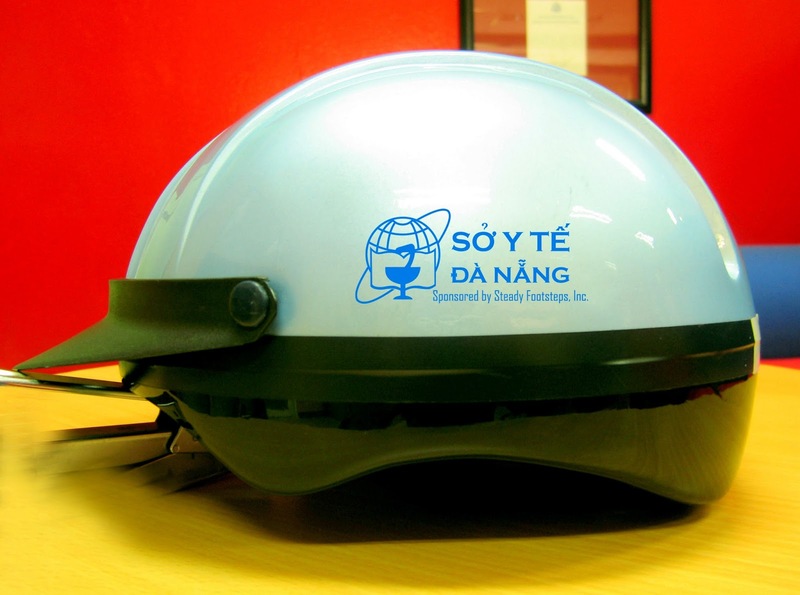 That 2005 trip convinced the couple that the efforts of two middle-aged, middle-class Americans, dedicated to preventing head injuries and to improving life for disabled people in Việt Nam, could be both effective. They quit their jobs, sold their home, founded Steady Footsteps, and moved to Viet Nam. “We have yet to regret our decision,” she said. Phạm Phùng Chiến, former director of Đà Nẵng City’s Health Department recalls many stories about Lockett. What is the most extraordinary about this woman, he said, is that she considered saving patients’ lives the meaning of her life. “In 2005, we were surprised when she came to see us to propose to work as a volunteer. At that time, Vietnamese law didn’t require motorcycle riders to wear helmets. But she bought 3,400 helmets to offer to employees working in the medicine sector in the city. She said that the money to buy helmets is part of the money from the sale of her house. We were deeply touched by her generosity. As I observed her during her 10 years working for free to save Vietnamese patients, she has extraordinary generosity,” he said. She has worked full time as a volunteer at the Đà Nẵng Traditional Medicine Hospital for the last seven years. Most of her patients suffered strokes or traumatic brain injuries due to motorbike accidents. To treat them, she tries to establish eye contact, uses visual demonstrations and focuses on functional activities. These methods help the patients respond to brain damage more quickly than verbal instructions. “After strokes, patients often have physical defects such as impaired walking. Based on the patient’s disability, Virginia instructs them to practice everyday movements, such as walking with a pair of sandals on. She also helps them walk correctly. Gradually, their normal activities are rehabilitated. In addition, she also teaches patient’s families some practical physical exercises, so that they can help the patients practice and recover at home,” said Nguyễn Kim Diệu, a doctor at the hospital. Nguyễn Văn Ánh, the hospital’s director praised her experience and professionalism. “She breathed new life in terms of physiotherapy into our hospital. She has significantly changed practice here. The prestige of the hospital has increased and the number of patients treated by physiotherapy has increased in our hospital. She helped rehabilitate 300 patients over her first three years at our hospital. Since then, she also trained many young therapists,” he said. Lockett recalls that when she started working at the Đà Nẵng Traditional Medicine Hospital seven years ago, she had exactly one stroke patient. “The other day, our staff treated 71! Obviously, I am not personally treating each patient every day. The young Vietnamese physical therapists that I have trained are doing this, with my occasional assistance. And yet the results that we have been achieving with these patients are so good that we are attracting new patients from all over central Việt Nam, primarily through word-of-mouth from previous patients and their families. I think that that is the big story here,” she said. One of her most special patients is Nguyễn Tấn Hiền. He had an accident when he was a student and his legs and arms became paralyzed. Locket helped him in physical rehabilitation. Seeing that he loved painting, Lockett bought his paintings to encourage him. Then, he decided to become a painter. His paintings have been now sold and displayed across the world. “What I have today is down to Lockett and her husband. I respect them very much and see them as part of my family,” Hiền said. Lockett said she and her husband enjoy their life in Đà Nẵng that has become “their home” and want to stay here for the rest of their lives.